Casper the Friendly Ghost, the friendliest ghost you know! 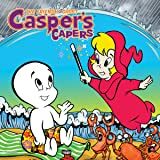 Millions of kids grew up watching cartoons and reading Casper comics over the years. 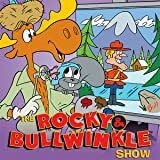 And now American Mythology is proud to bring the original Harvey character back exactly as you remember him. With 70 years of history behind him, Casper has been making friends and entertaining fans of all ages for years. This volume presents some of the best full color stories of the past in an economical package perfect for gift giving. 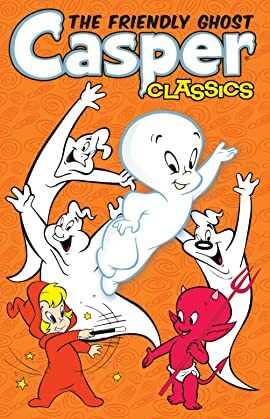 Make a new friend with Casper in these timeless classic adventures! 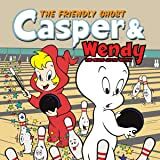 Everyone's favorite little devil and friendly ghost are together again in the classic series Casper And... Artist Eric Shanower (The Wonderful Wizard of Oz) delivers his first Casper and Hot Stuff art and it is outright fantastic! These are fun new stories done in the classic Harvey style. 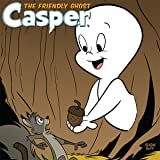 Make a new ghostly friend with us and this issue of Casper And!